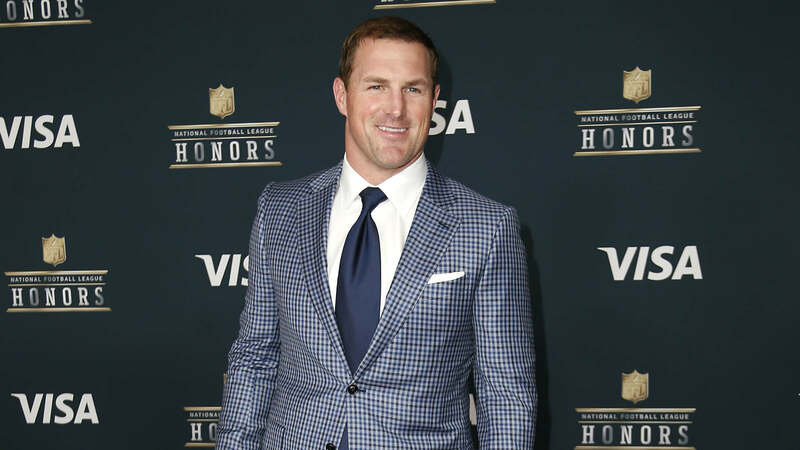 ESPN was hoping Jason Witten would do for “Monday Night Football” what Tony Romo did for CBS Sports. Instead, Witten is is danger of following the unfortunate path of another ex-Cowboy who had a comically tortured relationship with the English language: Emmitt Smith. As we near the halfway point of the NFL season, Witten is a work in progress, at best, as lead “MNF” analyst. Granted, the TV rookie has improved since his first few games, when he alternated between robotic deliveries and awkward silences. But he still stumbles and repeats himself on the air, and he’s reluctant to rip players and coaches. He’s not providing the kind of insight — yet — that made his former Cowboys roommate Romo so popular during his rookie season on CBS. Witten has potential. He’s likable and, by all accounts, working hard to be better on the air. ESPN has surrounded him with experienced TV pros: play-by-play announcer Joe Tessitore, analyst Booger McFarland and sideline reporter Lisa Salters. The future Hall of Famer has the knowledge, instincts and insights to make him a good watch. His column on how Twitter has become “Locker Room Poison,” for example, was a thought-provoking look inside NFL locker rooms. But Witten doesn’t have the natural elan of Romo or Cris Collinsworth of “Sunday Night Football,” or the easy brevity of Troy Aikman of Fox. He comes off sometimes like a humorless, earnest Boy Scout who’s studied too hard. He’s over-prepared. As the cliche goes in sports, Witten needs to relax and let the game come to him. Watching Witten sometimes fumble his way through ESPN’s telecast of the Falcons’ 23-20 win over the Giants on Monday night gave me flashbacks to Smith’s disastrous two-year turn with ESPN from 2007 to 2009. Even the late, great Stuart Scott of ESPN couldn’t make the former Cowboys superstar look good on TV. After shuffling Smith between various NFL pregame shows, ESPN declined to renew his contract in 2009. Fast forward to the past two “MNF” telecasts. Last week, social media guffawed when Witten declared quarterback Aaron Rodgers pulled another “rabbit out of his head” during the Packers’ 33-30 win over the 49ers. When Monday night’s telecast started, I was rooting for Witten to hit it out of the park. Instead, he had a couple of flubs in his opening comments. Once the game began, he delivered head-scratchers, such as: He’s “Driving Miss Daisy into the end-zone.” Or noting that Manning had to get rid of the ball “quickie,” instead of “quicker.” Alrighty then. Many times, it seemed like McFarland, not Witten, was the lead analyst. McFarland was stronger about placing the blame for the Giants’ offensive problems on the immobile Manning. Booger McFarland tells the world he used to pee in his pants as an NFL player. Meanwhile, Witten relies too much on a few catch phrases. He employs the phrase “It says a lot about …” as a way to praise players and coaches. But when he says it repeatedly, it gets on your nerves. Witten declared it a lot about Manning, when the 37-year-old quarterback dived for a touchdown on the goal line. He said a lot about Falcons coach Dan Quinn when he chose to kick a 56-yard field goal rather than punt the ball away. In fact, Witten liked the “said a lot” phrase so much, he said it three times about Quinn’s belief in his team. Even fellow sports media personalities such as Rich Eisen of NFL Network and Greg Gianotti of WFAN groaned when Witten came off like a typical Cowboys homer by unequivocally saying Jerry Jones had won the Amari Cooper trade with Jon Gruden’s Raiders. Jason Witten shows he clearly hasn’t had Amari Cooper in fantasy last couple of years. Jason Witten also loved the Herschel Walker trade for the Vikings. As McFarland kept pounding his points home, I kept waiting for Witten to speak up with stronger opinions. Finally, when desperate Giants coach Pat Shurmur gambled on a two-point conversion at the end of the game (and Manning wasted 40 seconds off the clock with two goal-line sneaks that went nowhere), Witten ripped the Giants’ play-calling. More of that fire, please, Jason. It’s too bad because Witten’s on-the-job training struggles are over-shadowing the rest of the “MNF” team. Salters, for example, had a great interview with Giants rookie Saquon Barkley. I learned a lot about his difficult decision to bypass Rutgers in favor of Penn State. Tessitore was loose and funny, even volunteering to get run over at left tackle for the Giants if somebody paid him $15 million a year like with under-performing Nate Solder. So what can Witten and ESPN do? First, Witten has to fully embrace the TV Dark Side. I know he schmoozes with players and coaches during pre-game production meetings. But he has to put that behind him once the game starts. He’s supposed to be on the side of the viewers and the fans, not players and coaches. Two, he has to put down the Cowboys pom-poms. We all know by now that ex-Cowboys hold three of the four top NFL analyst jobs: Witten; Romo with CBS; Aikman with Fox. But being a cheerleader for Jerry Jones and America’s Team is going to get old real quick. Third, ESPN should take McFarland off the ridiculous “Booger-mobile” and put him into the TV booth alongside Witten and Tessitore where he belongs. It was a cute gimmick that hasn’t really added anything to the broadcast. Fans at stadiums whose expensive seat views are blocked by the crane-like contraption would certainly cheer. A three-person booth is hard enough when TV partners can look each other in the eye. Witten and McFarland are in separate parts of the stadium. Nobody seems to know who’s supposed to talk, when or why. It’s like one of those game shows where everybody tries to hit the button first. As the TV veteran, McFarland is able to express his thoughts quicker and more clearly. That either leaves Witten playing catch-up or forces him to blurt out something before he really has his thoughts together. “Essentially, Witten has to start talking. Or Booger’s going to jump in,” said one TV source. That’s probably why a rushed Witten is making so many mistakes, the source added. There’s still reason to hope. ESPN has expressed its strong support for the ex-Cowboys tight end. The network is getting better games on “Monday Night Football,” and better games means better telecasts. The new “MNF” team of Witten-McFarland-Tessitore-Salters seems to enjoy itself and the game of football. That didn’t always seem true with the old “MNF” duo of Gruden and Sean McDonough. Still, you can’t help but think of the big fish who got away. ESPN’s first choice for “Monday Night Football” analyst was the retired Peyton Manning. ESPN producers showed several prominent shots of Manning in Atlanta on Monday night as he rooted for little brother Eli. ESPN is now in business with Manning via the new “Detail” show with Kobe Bryant. Will Manning change his mind about TV? If ESPN does bite the bullet on Witten, there are successors waiting in the wings. Both McFarland and Louis Riddick wanted the lead analyst job after Gruden left for the Raiders. They’re both part of ESPN’s Monday night crew and could slide into his chair.